Get your coats and scarves ready, because a harsh winter may be coming your way. 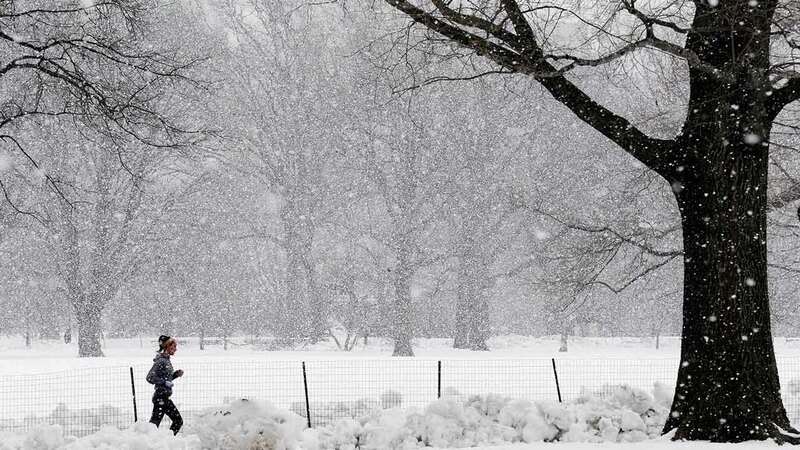 The Old Farmer's Almanac forecasts a harsh and snowy winter for much of the country in 2015. The Almanac's forecasting formula for predicting winter weather has been a well-kept secret, ever since the editor Robert B. Thomas oversaw the publishing of the original almanac in 1792. The Farmer's Almanac claims it has been 80 percent successful in predicting winter weather since that time, although it didn't accurately predict last year's massive amount of snowfall in the Boston-area or high temperatures in California. This year's almanac predicts that the U.S. should prepare for very cold temperatures and lots of snow this upcoming winter, according to the Associated Press. The Pacific Northwest region is also expected to get heavy amounts of snow, with the biggest snowfalls occurring in mid-December, early to mid-January and early February. "Just about everybody who gets snow will have a White Christmas in one capacity or another," editor Janice Stillman told AP. Residents in the Northeast can expect more snowfall and lower temperatures, while those in the Midwest parts of the country can expect less snowfall but lower-than normal temperatures. While residents in Southern California have been bracing for a massive, once-in-a-generation El Nino, the Farmer's Almanac warns readers to be skeptical of the size and severity of the storms this El Nino will bring. Still, the almanac says that there will be above-normal rainfall the first half of winter in California.